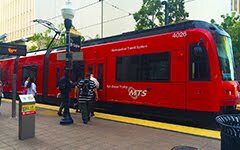 Free Public Transit So Cal: When are we going to admit that the private auto is just a bad idea? When are we going to admit that the private auto is just a bad idea? $1 billion deal major step in Toyota legal trouble - Houston Chronicle: "The courtroom claims began with a highway tragedy. A California Highway Patrol officer and three of his family members were killed in suburban San Diego in 2009 after their car, a Toyota-built Lexus, reached speeds of more than 120 mph, hit an SUV, launched off an embankment, rolled several times and burst into flames. Investigators determined that a wrong-size floor mat trapped the accelerator and caused the crash."